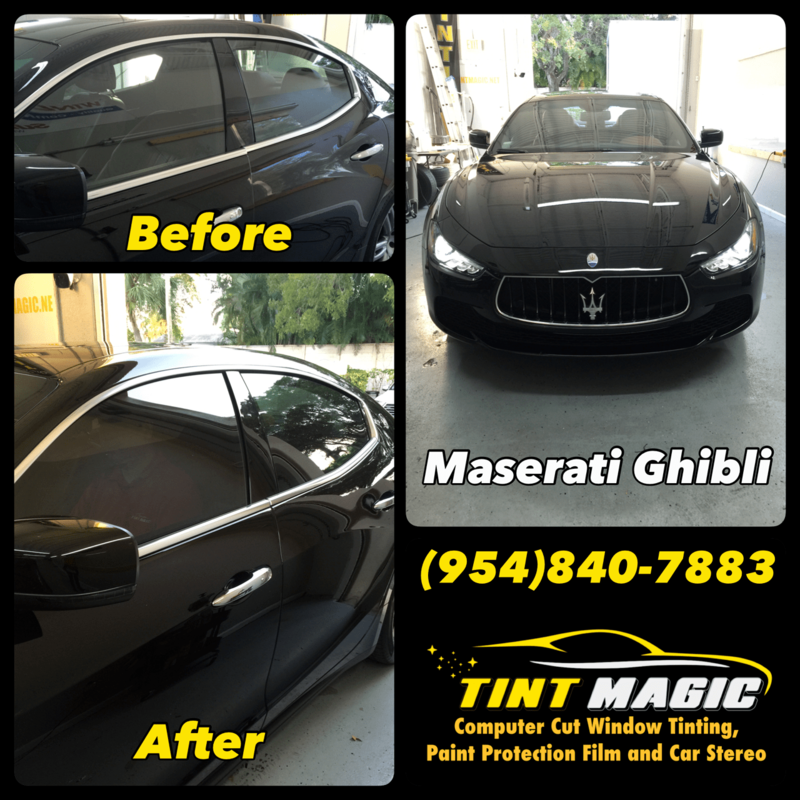 Maserati Ghibli at Tint Magic Window Tinting, we install Suntek CXP Nano Carbon 18% all around for the best heat rejection and 99% UV protection, call us for a free estimate! (954) 840-7883. Say “gib-lee.” It’s named for an African desert wind—and the perfect name for a hot Italian sedan. With its deliciously curved lines, the Ghibli’s looks are backed up by what’s under the hood. The base setup is a 345-hp, twin-turbo 3.0-liter V-6 and rear-wheel drive; the S performance version has 404 hp and optional all-wheel drive. Both engines have an eight-speed automatic. The interior needs nicer materials, but this desert wind is a breath of fresh air in a world dominated by German sedans. Rushing sausages to market before they’re fully cured has long been standard operating procedure at the Italian salumerie. Your humble author continues to serve on the testing and development team (otherwise known as the owner body) for the Lamborghini Espada—36 years after the car went out of production. And for decades, Maserati has been another punch line that proves the rule. But after passing through the hands of various owners to land in the lap of Fiat Chrysler, Maserati’s prospects have never been better. The brand wants to more than triple its worldwide sales by 2015, to 50,000 units per year, through a barrage of new products. The attack plan started with the redesigned Quattroporte last year and now proceeds with the new Ghibli, which is basically a short-wheelbase Quattroporte. Later, an SUV will appear using similar hardware. While that last model is still in development, we want to send an urgent plea to management to slow down and take a breath. To figure out what elements make a Maserati special, what qualities are necessary to encourage customers to walk through a blossoming garden of excellent luxury products from blue-chip brands to select a car from the makers of the Biturbo.